Break Up Test - Because you're just not sure if it's time for a breakup or divorce. Should I Break up with my Boyfriend or Girlfriend? Love is not always easy. No relationship is perfect and it’s normal for many of us to question the health of our relationship or marriage. Whether you are considering a divorce from your spouse, breaking up with your partner, or thinking about proposing, our Break Up Test can help you evaluate whether or not you should break up or continue to stay together and work things out. It seems to be true that love is a battlefield. Ultimately the choice is yours but these relationship tests and quizzes are here to give you a scientific assessment of the strength of your relationship. Should you break up with your boyfriend or girlfriend, get a divorce from your husband or wife, or continue dating your partner? Take the right love test for your relationship. For most couples, our comprehensive Break Up Test is the best place to start. It is based on real life experiences and scientific research of the key elements that make up the foundation for a healthy relationship. As a matter of fact, all of our tests and quizzes are unbiased. We use this valuable data to create our exclusive algorithms which will provide you with an impartial evaluation of your relationship’s health once you complete one of our relationship tests. If you are married, you should also take our Divorce Test. It is tailored specifically to married couples. This test will hone in on how compatible you are with your spouse. You may have fallen in love with your husband or wife when you were dating but your marriage may not currently be where you expected it to be. All marriages will have their ups and downs but healthy marriages have more good times than bad. Sometimes we grow more in love over the years but sometimes we naturally grow apart from our spouse. Take the Divorce Test and see if your marriage is still worth saving. Divorce shouldn’t always be the answer. Many times a few professional marriage counseling sessions may be all that you and your husband or wife need to get back on track. Unlike many other break up quizzes or relationship health tests, we weigh each aspect of your relationship differently based on scientific, psychologic, and sociologic research. As with most things in life, some issues affect relationships more than others. Therefore each question of our Break Up Test has a higher or lower value of importance. Rather than getting biased opinions from family and friends, our unique algorithm takes a methodical approach to assessing the health of your relationship without human prejudices influencing your decision. 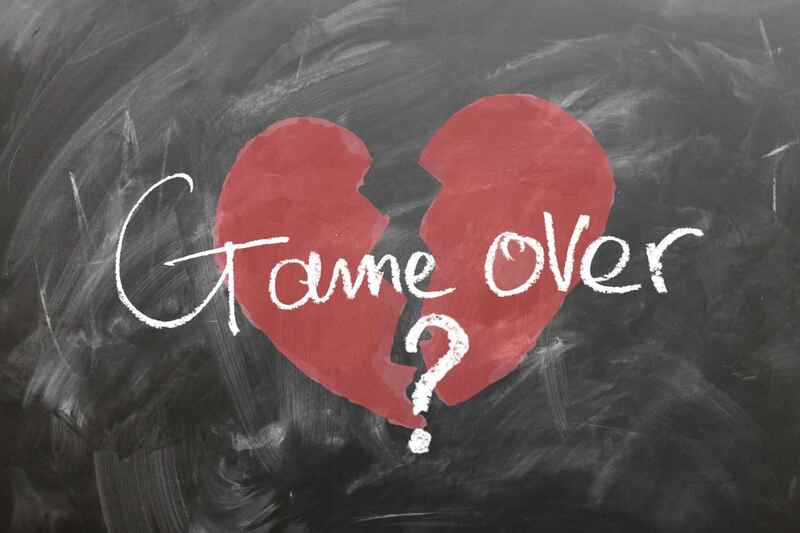 Although our love tests are well thought out, our relationship tests should not be taken as conclusive evidence of whether or not the answer to "should I break up with my boyfriend or girlfriend?" is "yes" or "no." We are merely providing you with an additional free tool and neutral opinion on what is the current state of your relationship. We have spent lots of time researching the characteristics of a loving, healthy relationship. Not only have we studied the characteristics of a good relationship but we have also researched what are the things that may lead a boyfriend or girlfriend to break up with their partner. Love may be enough to bring two people together but is it enough to maintain a healthy relationship and good foundation for a long lasting marriage? "I love you. I like you. But I don't want to live with you. We're not compatible. It's not easy enough to discuss issues with you. I still feel judged for my emotional responses. I feel like there are issues that we've discussed that you haven't tried to resolve your end of, even when we've discussed them several times. I don't think our lives would mesh well together. You don't see me as one with your life. You see us as separate. You don't consider me before yourself. You didn't even think to make plans with me over any of the Holidays this season or even discuss it. I can't imagine spending the rest of my life waiting for you do make decisions. We do not fit together long-term. I am happy with you. I want to stay with you. But I don't want to combine the rest of my life with yours." How do they make you feel when he or she is around? Does your significant other laugh at your jokes (regardless if they are funny or not)? If you find yourself intellectually or physically turned off by your partner, it’s time to ask yourself why. How to Breakup with my Boyfriend / Girlfriend?